Slow Sleep – the blog of sleep: Premonitory dreams: reality or… just dreams? It has happened to many of us, maybe even to you, to dream something that later came true. Are these dreams actual premonitions or just random occurrences? Science is obviously skeptical when it comes to the presumed ability to foretell the future, but in many mystical traditions, in different cultures and in many personal experiences, premonitions are quite real. To understand more about this topic, we need to grasp the difference between premonition and prediction. Predictions, even through dreams, are the result of collecting and processing information through all the five senses. If we are talking to a person and – for example – we subconsciously memorize a small cough, later we may dream about them getting sick, something that to a certain extent is likely to happen. It is thus not a premonition, but a simple guess that our brain elaborates in our sleep by reworking all the signals we picked up on from that person, even those we did not notice on a conscious level. Catastrophes, earthquakes, accidents or natural disasters… you name it. The history of premonitions definitely has a dark connotation to it. However, is it a phenomenon worthy of attention? It is good to know that when we dream, our personal or ancient fears or past violent events might come to the surface. 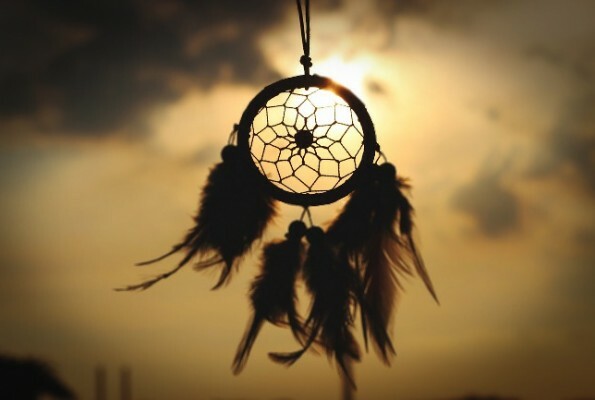 Having terrifying nightmares and then noticing that they come true can be explained with a “backward-step” interpretation, meaning that once we experience an unpleasant event, we then tend to “paint” our dreams based on what later actually happens to us. That is why violence in dreams, which perhaps is due to our subconscious mind rehashing personal experiences that were shocking for us, is often very similar to the event we are commenting. It is the French word for “clear sight”. It is the word we use to refer to the ability to “see” events before they happen. The best known clairvoyant in history is the legendary Nostradamus, who is known for his countless prophecies. Foretelling the future through dreams is also an uncanny ability that falls under clairvoyance. Is there such a thing as premonitory dreams? The Book of Genesis tells us that Joseph, the son of Jacob, was sold into slavery and ended up in an Egyptian prison. When the word spread about his ability to interpret dreams (he had correctly interpreted the dreams of two of his prison-mates), he was summoned by the Pharaoh, who had dreamed of 7 fat cows and 7 lean cows. Joseph correctly interpreted the dream: Egypt would have experienced 7 years of abundance followed by 7 years of famine. Tablets dating back to 2,000 B.C. narrate of Gilgamesh’s dream, in which the gods announced to him that he would die. History has many accounts of premonitory dreams, but few have tried to examine them with a scientific approach. Among them is William Edward Fox, who estimated the capacity of premonitory dreams to foretell the future by the number of passengers on trains involved in accidents. According to his calculations, the number of passengers on these trains was below average, a possible explanation being that those who had dreamed of a train wreck had been afraid to climb aboard. We still are unable to scientifically confirm or reject the phenomenon of premonitory dreams. However, it is interesting to note that forums and websites are full of stories of people who had positive or negative premonitions while they were asleep. This does leave room for cautious optimism on the actual ability of dreams to foretell the future. Some people, between 3 and 4 a.m., secrete excessive amounts of D.M.T. (dimethyltryptamine), a hallucinogenic molecule (the active substance of ayahuasca, a sacred drink used by the Andean shamans), which would have the power to induce “particular” experiences. According to the proponents of the psychic power of dreams, D.M.T. would expand our consciousness, enabling us to see the future.